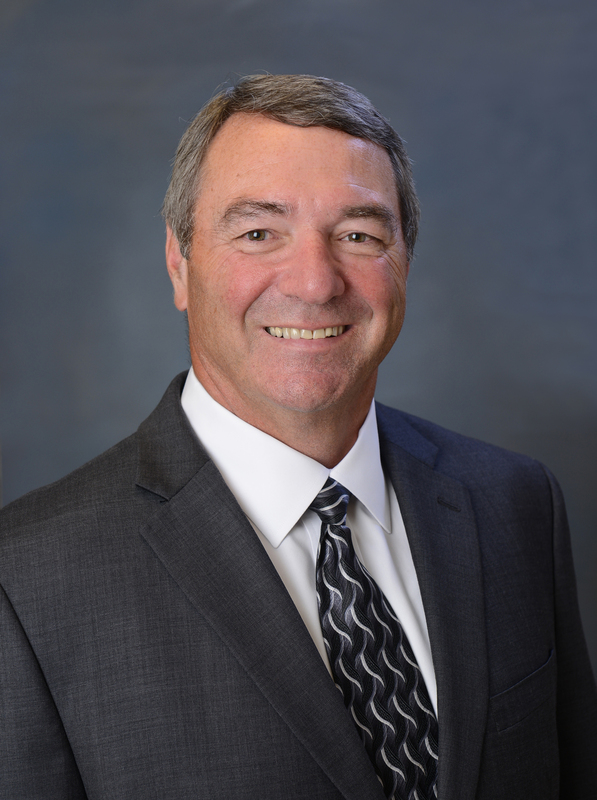 Bryan, TX (September 30, 2015) – St. Joseph Health System is pleased to welcome Rick D. Napper as Market President, effective November 2, 2015. Napper will oversee the entire St. Joseph Health System, including five hospitals, two long term care facilities, more than 20 ambulatory clinics, and 100 employed providers. He joins St. Joseph most recently from Catholic Health Initiatives (CHI) Memorial Healthcare System in Chattanooga, TN, where he served as President of Memorial Hospital and Chief Operating Officer for the system. In November 2014 St. Joseph became part of CHI, based in Englewood, CO, and including more than 100 hospitals in 18 states. CHI’s presence in Texas also includes the CHI St. Luke’s Health system in Houston and CHI St. Luke’s Memorial Health system based in Lufkin. Napper brings more than 19 years of healthcare administration experience, with a focus on operational acumen and accomplishments in the areas of patient satisfaction, clinical, quality, and financial operations, new business development, and employee and physician relations. Napper has served as President and Chief Executive Officer for Magnolia Regional Health Center in Corinth, MS; Chief Executive Officer for Norton Community Hospital in Norton, VA; and President and Chief Executive Officer for Crittenden Health Systems in Marion, KY. He also served as Assistant Director of Quality Improvement for Ireland Army Community Hospital in Fort Knox, KY.
Napper holds a Bachelor of Science degree in Healthcare Management from Park College in Parkville, MO, and a Master of Business Administration degree from Embry-Riddle Aeronautical University in Daytona Beach, FL. In addition, he graduated from the Academy of Health Sciences, Fort Sam in Houston, TX as an LPN. Bryan, TX, September 15, 2015 – St. Joseph Regional Health Center has long been known as the region’s leader in treating trauma and life-threatening illness for patients. However, what you may not know is that inside of the Emergency and Trauma Center, research teams are working on new studies to treat patients using the latest technology, medications and treatment protocols. Often times, these studies can help patients who may have run out of treatment options, are waiting for a new treatment option or considering going out of town for care. The most recent study at St. Joseph Regional Emergency and Trauma Center, which began in July, involves the use of medication to reverse the effects of blood thinners on the body. Often times, these studies can make the difference between significant illness or life and death. From 2010 to 2012, the research team at St. Joseph Regional played an important role in bringing KCentra, a newly FDA approved reversal for Coumadin (warfarin) to the market. St. Joseph was a leader in patient enrollment of this research study for this life-saving drug. Because of this, the hospital was the first in the region to utilize this treatment in the Brazos Valley. Coumadin (warfarin) and other blood thinners are medicines that make your blood less likely to form clots, according to the U. S. National Library of Medicine. These blood thinners can lower the risk of blood clots, a potential cause of stroke and heart attack. The medication works by thinning the blood so that blockages cannot form in blood vessels. However, taking blood thinners makes patients more prone to bleeding, even from every day activities. Anit-coagulants, or blood thinners, are taken by an estimated 2-3 million Americans for the prevention of strokes and blood clots in various medical conditions. However, every year, an estimated 45,000 patients experience a need for urgent reversal back to a normalized bleeding state due to the occurrence of a major medical issue such as trauma, emergency surgery or internal bleeding. There are a number of reasons that people might need to take blood thinners. Patients who have an irregular heartbeat, have had blood clots in the past or are at risk for a blood clot in the lung may need to take blood thinners. This particular study provides a reversal agent for patients on blood thinners who need reversal in order to be treated for their medical emergency. Results for this particular study will be assessed through a series of blood draws to determine the difference in the blood over a time period. The research team will analyze the blood when the drug is given, as well as throughout the process, looking for exactly when the drug starts working, when it peaks and when the blood thinners are quite obviously not in the blood stream any longer. “The goal of the study is to overall decrease the time that the blood thinner takes to wear off in the blood stream, thus decreasing the bleeding in the patient, and the wait time for a patient who needs surgical treatment,” said Dr. Spohn. The research team within the hospital includes physicians and clinicians who evaluate patients that come into the emergency center and throughout the hospital and determine if they may be eligible and able to participate in any of the research studies currently being conducted. The team is on call 24/7, with a physician and clinician always available when the need to begin a patient study arises. In addition, the team of researchers works with the FDA, as well as the drug companies, to write protocols for how the drug should be administered. Clinicians work closely with each patient that opts into the drug study to be sure they understand the risks and benefits associated. For many patients, studies like this bring access to medications and treatments that wouldn’t otherwise be available to patients in areas like the Brazos Valley. At any given time, the Emergency and Trauma Center at St. Joseph Regional has between four and six studies running. Additionally, the St. Joseph Cancer Center is continually involved in trials of various treatments and drugs available to patients who may not otherwise have access to them. Being able to offer this type of care and service to the Brazos Valley is special. Most of the time, drug trials are only available in urban areas. With the level of care that is offered at St. Joseph, we are able to add to that with studies such as the Coumadin trial, Dr. Spohn went on.